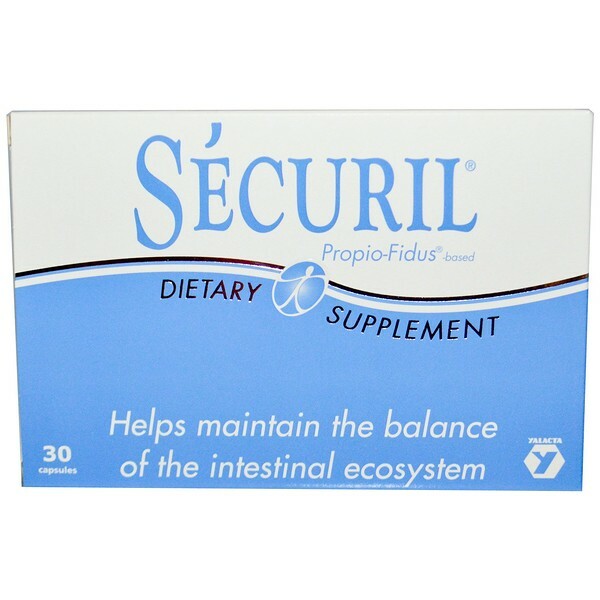 Securil contains a unique and patented probiotic, two special strains of Propionibacterium freudenreichii, which produce propionic acid, a natural biological acid that benefits the bifidus flora. The human digestive tract contains a complex bacterial ecosystem. Some unpleasant symptoms such as heaviness, bloating, reduced bowel frequency, flatulence are often the result of disturbed intestinal flora. Securil supports the development of endogenous bifido bacteria for healthy gastrointestinal function. Intestinal flora are essential to good digestive function, including assimilation of essential nutrients, vitamins, minerals, trace elements and amino acids. A rich, balanced and well implanted flora may benefit human metabolism, and healthy intestinal function reinforces our natural defenses. Strains selected and deposited at the CNCM of the Pasteur Institute, titrating 5 billion CFU bacteria per capsule. As a food supplement, take 1 or 2 capsules with water in the morning, or as directed by a healthcare practitioner. 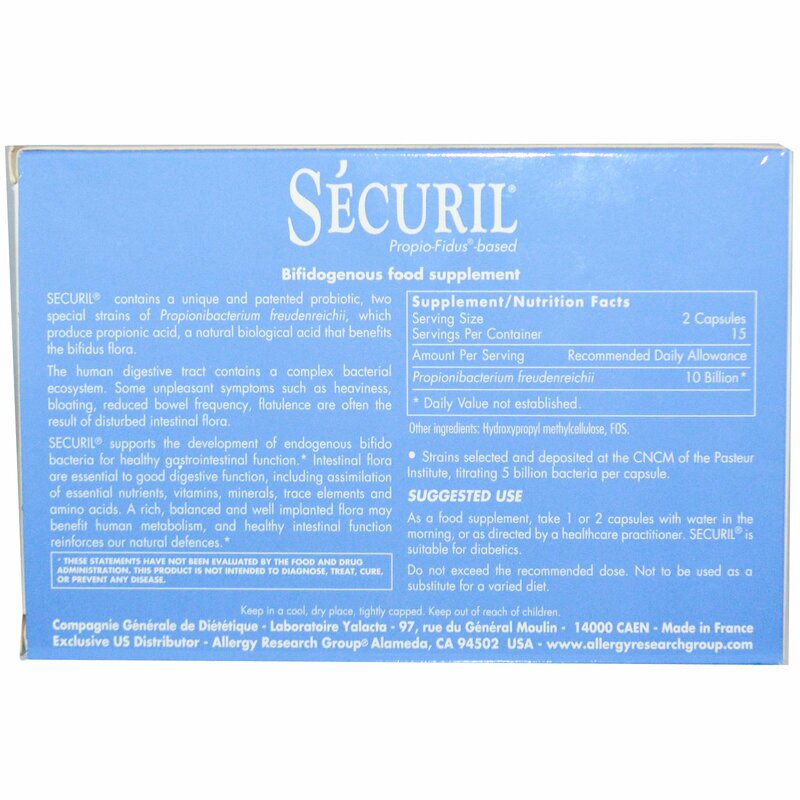 Securil is suitable for diabetics. Hydroxypropyl methylcellulose, gellan gum, FOS (from beef).